A driven, hard-working person, Matt grew up in Mokena, IL., went to Western Michigan University, and now enjoys living in the Wicker Park community of Chicago. 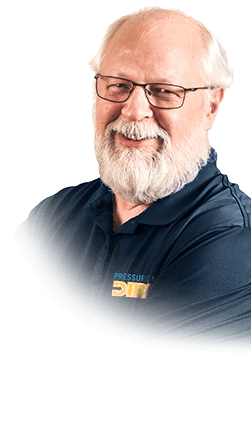 His training and experience within the industry comes from extensive hands-on OEM training and helping customers with technical questions at Power Equipment Direct. A long-time apprentice of veteran expert Brian Teitelbaum, Matt 'burst' onto the pressure washer scene in 2017 and hasn't looked back since. He enjoys both the technical aspects and the 'pressure and flow' of helping customers answer their toughest pressure washer questions. In his free time, Matt can be found at trivia night at his favorite local watering holes or playing board games with friends and family.